Jakarta is city of stark juxtapositions at every turn. The heralding mosques suggest a conservative lifestyle, but this is contrasted by Jakarta’s vibrant nightlife scene. Whether you are into a classy night on the town, a drinking shift at an Irish pub with mates, or want to dance all night long, there is something for you. This is not an exhaustive list, but a quick overview of what’s out there for those looking to head out past dark. There are many rooftop lounges worth visiting in Central and South Jakarta. Skye Bar and Club Lounge offers great skyline views. Note that dress codes apply. Class it up to ensure you get in and get a table and consider booking in advance. At times, Rp2 million minimum per table is also required to hold a reservation. Rooftop lounges generally will have live music or a DJ to enjoy with your (likely overpriced) cocktails. You do pay a bit extra for the view but if you haven’t had the experience, you must try. Jakarta is a hotspot for Electronic Dance Music (EDM) and international DJs visit every single week. Dragonfly is popular and offers a fabulous light show. Collosseum has a world-renowned design and hosts some of the world’s best DJs. Immigrant, Blowfish, Apollo, and Jenja are also hotspots to dance the night away. 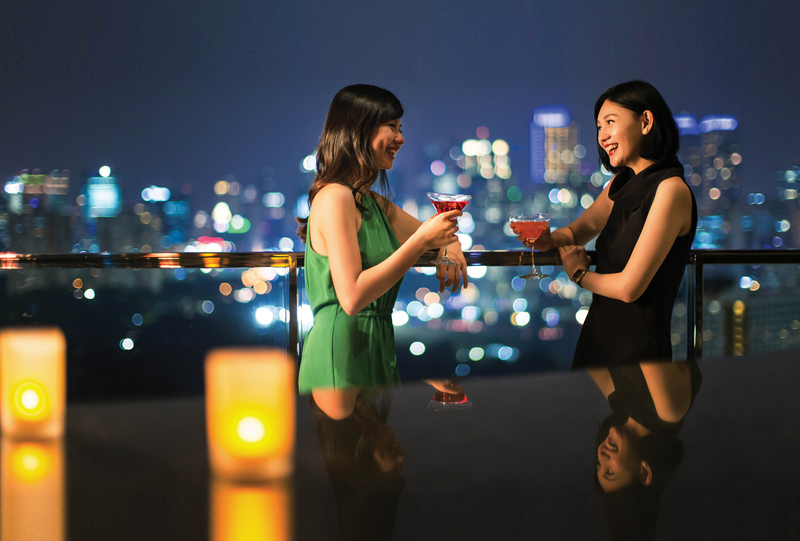 Cover charges range from Rp100,000 to Rp300,000 per person, but this sometimes includes your first drink. Expect to pay top prices for drinks at all clubs and note that dress codes apply (dress and heels for women is often mandatory, smart shoes and pants for men). Bouncers have the authority to refuse you and your wardrobe, whether it is fair or not. If you are after drinks and dancing but not into rave-style nightclubs, try popular expat hangouts such as Basque, Bau Haus 1933, Loewy, and Gia. All offer live bands and DJs and are frequented by posh Indonesians and expats ready to party. Stop by early to make a full evening of dinner and dancing. As the night progresses these places can get crowded as they are quite popular. Whether this is what you are looking for, or where you want to avoid, the usual spots are in Kota in North Jakarta and Blok M in South Jakarta (although Blok M is starting to clean up a bit with working girls migrating to other areas). In North Jakarta hotel rooms can be rented by the hour and clubs are open 24 hours. Club entrance and drinks are very expensive in Jakarta. Scouting social media for promotions is a good way to save some cash. Ladies nights are a great way for ladies to save on cover charges and drinks. Wednesdays ladies can catch free drinks at Hurricane’s Bar and Grill, Basque, Mo Bar at Mandarin Hotel, Vin+, Flow, McGettigan’s, Branche Bistro, Jenja, and more. Free flow events: Our recent favourite is Thirsty Thursdays (free flow wine) at Gia, also Thursday is free-flow gin and tonic at The Dutch. Monday’s free flow wine event is at J Sparrow’s Bar and Grill. Generally, you get a wristband and can enjoy bottomless drinks all night for one flat rate. These events pop up all over the city so check social media for the latest deals. If you want to dress casual, hit up the classic pubs such as Eastern Promise, Cazbar, Molly Malone’s, Murphy’s, and Fez/The Dungeon. After a long night out, stop at Dim Sum Inc. in Kemang. The service is swift and the food is hot 24-7. Drugs: Indonesia has strict drug laws so you are at great risk if you do anything illegal. As reported in The Jakarta Post, circulars have recently been issued to major clubs in Jakarta reminding them to not be complicit in drug trafficking. Governor Anies Baswedan has stated his commitment to cracking down on drugs in Jakarta. Petty Theft: Bring only what you need (including your phone and that extra battery pack to get home). Pickpocketing is common, so watch yourself and don’t leave your belongings on the chair or behind that speaker. Getting Home: Having your own driver on standby is best, but if you do not have that luxury, be wary of taxi scams. If you can order using a ride hailing app, at least there will be a record of where you go. Make sure you and your friends have a plan to get home safe.